A proposed new ethanol production factory will be buying cassava at -30 cents a kilo when it commences production in January 2010. 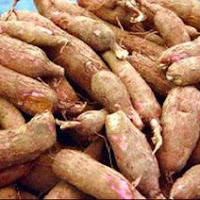 According to Viliame Vosarogo of the Energy Department the current cassava price is 40 to 45 cents a kilo for good cassava only. He says cassava quality will not matter with the ethanol factory. Vosarogo who will be leading a team to China next week to see a factory there told Radio Fiji News that the 15,000 hectares is required to sustain the factory and this amount surpasses the amount planted for local consumption and export. He said the factory which will be specially designed for Fiji will require 1000 tons of cassava a day to operate with one shift of workers. If there is a requirement to have two shifts a day then the factory will require 2000 tons of cassava a day. Vosarogo said the construction of the factory will only take a few months and the factory running by January, 2010. He adds farmers should now be planning to prepare for planting. He said one problem will be is the planting material and farmers should be looking at that now. When asked about assistance especially with machines, Vosarogo said machines will be used where the land terrain is difficult. Vosarogo said 15,000 hectares is not much if all squatters in Suva and the other urban centres go back to the village and plant one acre each, they will not only plant the acreage required, they will also be earning money.